The MEC for Cooperative Governance and Traditional Affairs Ms Nomusa Dube-Ncube has called on parents, teachers and school governing bodies to put the interests of learners in the forefront as she visited schools around eThekwini. Dube-Ncube’s visit started at Masakhaneni High School in kwaMakhutha, which late in 2018, became a scene for a tragic incident where two learners were killed as a result of factional fighting that spilled over to the school precinct. The visit is part of the provincial government’s School Functionality Monitoring Programme where MEC’s and Members of Provincial Legislature conduct unannounced inspections in various schools to enforce the culture of children being in class on time and teachers doing their work of imparting knowledge to children. The school saw a drop in the latest matric results due to the number of social challenges. Dube-Ncube held engagements with all stakeholders including school governing bodies. Dube-Ncube expressed deep concern with the functionality of the school two weeks into academic year. “What happened at this school last year should never ever happen anywhere, our schools are meant to be places of safety where teaching takes place daily. Our schools cannot be havens for criminals and be converted into war zones. In order to ensure that things return to normal at this school, the provincial government needs all stakeholders to come on board, we cannot do this on our own. We need the teachers, parents, school governing body and members of the community to play an active role in ensuring that we protect our schools as they are places of safety and learning, where the next generation of leaders is shaped and moulded” said Dube-Ncube. Dube-Ncube, expressed optimism that the school will turn around its 2018 misfortune and focus on its primary tasks of producing future leaders. 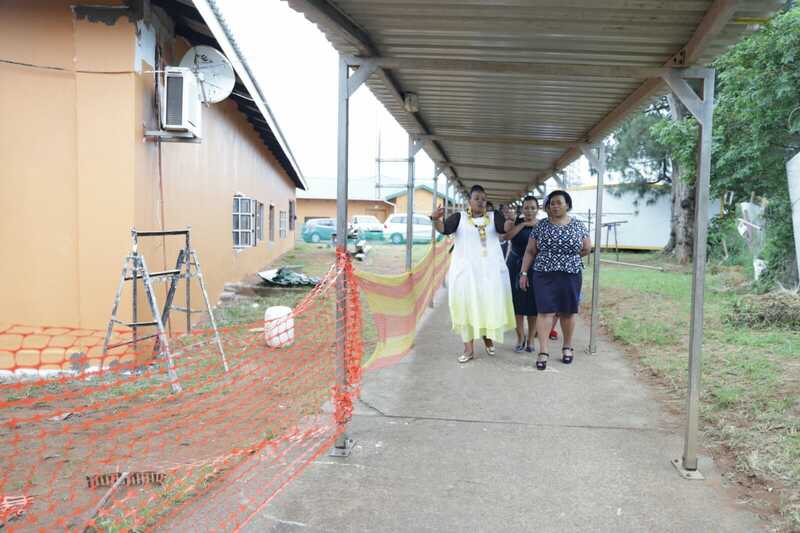 MEC Dube-Ncube further visited the Mason Lincoln Special School, which has been facing challenges with the slow pace of repairs following a freak storm that hit Durban in 2017. The school has close to 400 learners who have special needs and have been using interim structures while the repairs continue. Dube-Ncube undertook to follow up with the relevant authorities in relations to proper consequences management being implemented on service providers who have not completed the construction in the designated time frame. “What we witnessed today, is really heart breaking as this learning institution is one of the few special schools that our province has. The slow pace of the appointed service provider has greatly inconvenienced pupils who are amongst the most vulnerable in our society. Relevant officials have been contacted and a close eye is being kept on this school so as to ensure that we quickly conclude with the reconstruction of the school” said Dube-Ncube. The visits by the MEC and her delegation continued to the Durban Maritime School. The visits will continue tomorrow at the following schools in Durban, Sawela Primary School, Naleni Secondary School and Wendy Heights Primary School.